Let Us Make Your Outside Beautiful! For professional landscaping and contracting work that you can respect, think of Chuck Strayve Landscaping Ltd. From lawn care to brick paving, planter boxes to core aerating, we’ll perform all of the detailed maintenance needed to keep or improve your home in its perfect condition. We’ll give you top quality work with affordable prices. We have more than 20 years of extensive experience in this field, specializing in commercial and high-end residential jobs. We’ll also be sure to give your specific assignment the respect and attention it deserves, no matter how simple or complicated the task may be. 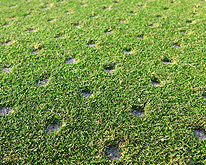 Core Aeration is the beneficial process of making thousands of holes in your yard. These holes aerate your yard to allow water, fertilizer, and other beneficial nutrients reach your lawns roots. 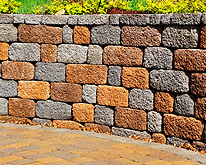 We offer Washed River Boulders Sales, decorative stone design, and installation. You can be assured with our erosion control and drainage expertise the finished work will be sure to adds years of life to your property. 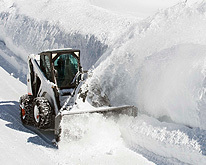 Chuck Staryve Landscaping offers commercial snow plowing throughout the Chicagoland area. We are always prepared for the worst, and we know how difficult unexpected weather and shortages can be for your business. 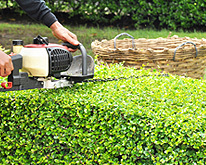 The regular maintenance of lawn and grass areas, hedges; and planted areas. The design, planting, establishment and maintenance of bedding schemes and design of landscape features. The planting of new and replacement shrubs, hedges and bulbs etc. Routine maintenance tasks such as leaf clearance and pruning.